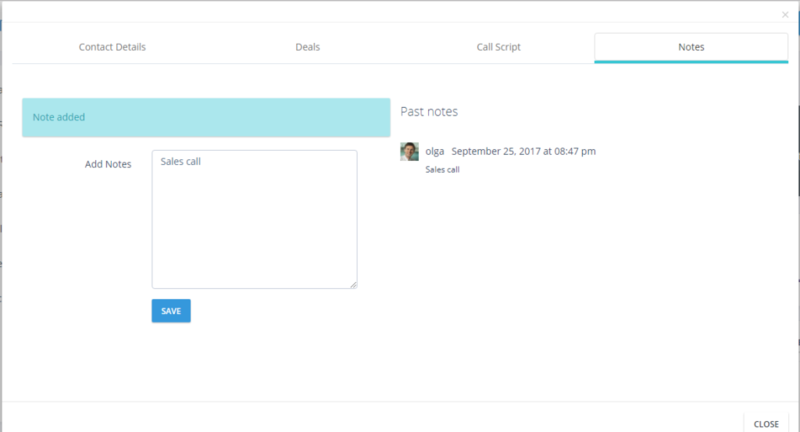 Incoming Call Pop Up is used to enhance the customer experience and agent efficiency as it can provide agents with the key information about the contacts, their status with the organization,history of their interactions and call scripts, which will make calls more productive. To set up Incoming Screen Pop Up you should go Settings>Screen Pop>Screen Pop Settings. You can choose which tabs are needed for your account. 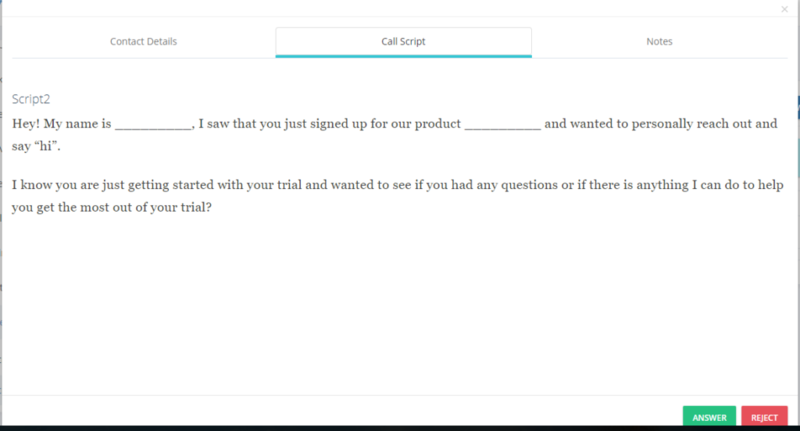 Incoming Call Pop Up includes three tabs (Contact Details, Call Script, Notes) and buttons Answer/ Reject call. 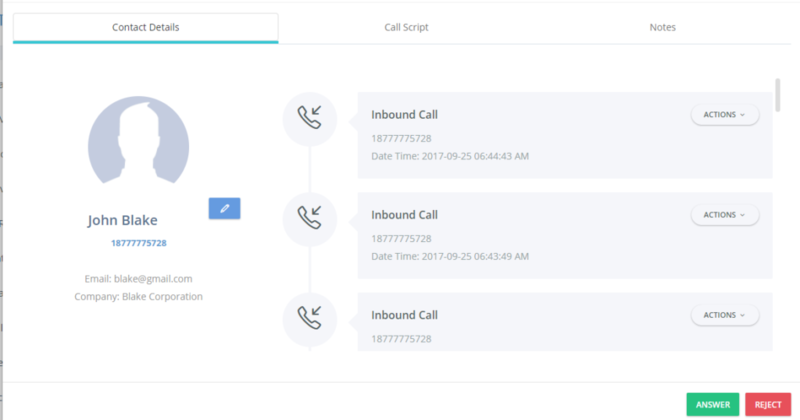 It shows all needed information about the contact:Full Name, Number, Email, Company, Actions (Inbound/ Outbound calls, Time, Date). You can add notes and see previous ones. Type all needed information, select Ring Group and click on Save. This script will be shown to those agents who exist in the selected Ring Group. You can create scripts for each Ring Group.